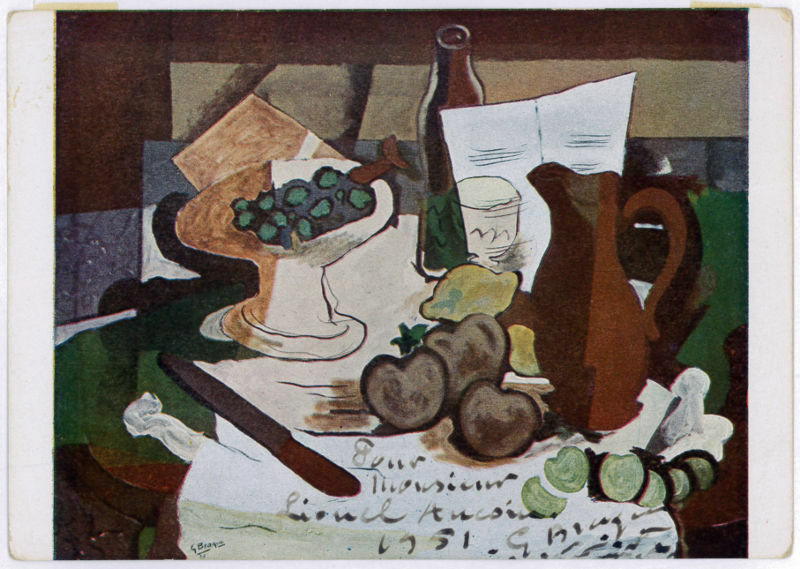 Braque’s most important contributions to the history of art were in his alliance with Fauvism from 1906, and the role he played in the development of Cubism. Braque’s work between 1908 and 1912 is closely associated with that of his colleague Pablo Picasso. 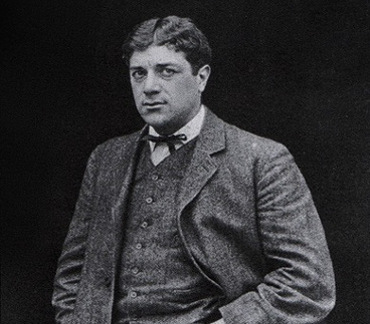 Their respective Cubist works were indistinguishable for many years, yet the quiet nature of Braque was partially eclipsed by the fame and notoriety of Picasso. By the time of his death in 1963, he was regarded as one of the elder statesmen of the School of Paris, and of modern art. 20th-century French painter, collagist, draughtsman, printmaker and sculptor (1882-1963). 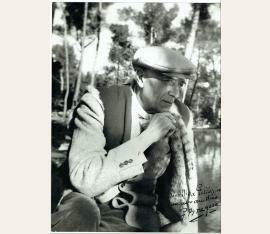 Signed and inscribed head and shoulders photograph. no place. 390 : 295 mm. 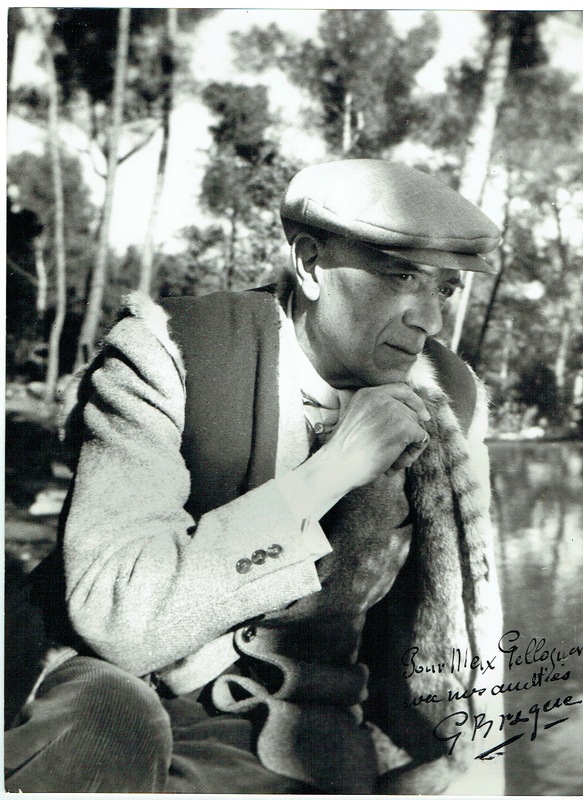 Large vintage glossy 11.5 x 15.5 half-length photo of Braque in a contemplative outdoor pose, signed and inscribed in fountain pen, "Pour Max Gelloquer avec mes amities, G. Braque.” In fine condition, with three circular spots of emulsion irregularity to the right of his head. 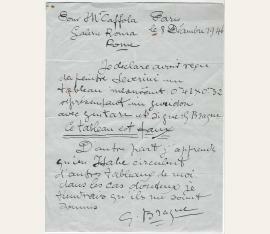 A tremendous portrait of Braque, who remains rare in signed photographs. painter and sculptor (1882-1963). 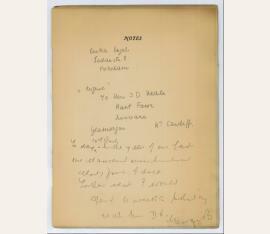 Exhibition catalogue, inscribed and signed ("GeorgesB"). N. p. 1 p. on 6ff. Printed wrappers. Small 4to. 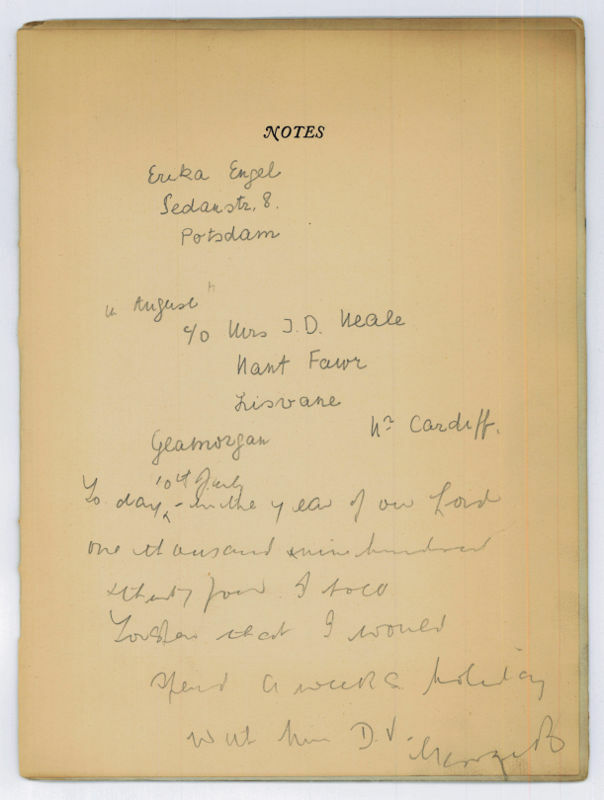 Apparently a letter draft, written on the next-to-last page (entitled "Notes"): "[...] Today 10th July in the year of our Lord one thousand nine hundred thirty four I told Tristan [?] that I would spend a weeks holiday with him [...]". - In pencil; somewhat brown-stained, cover rather browned and spotty. painter and sculptor (1882-1963). 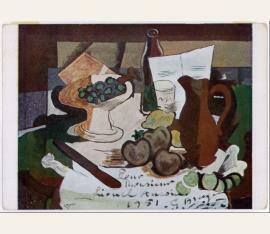 Color postcard print inscribed of his painting "Musical score and Fruit" and signed. N. p. 8vo. 1 p.
painter and sculptor (1882-1963). 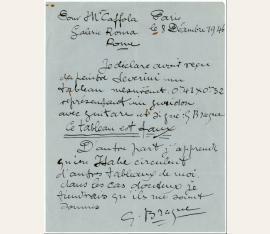 Autograph letter signed ("G. Braque".) Paris. 4to. 1 page. 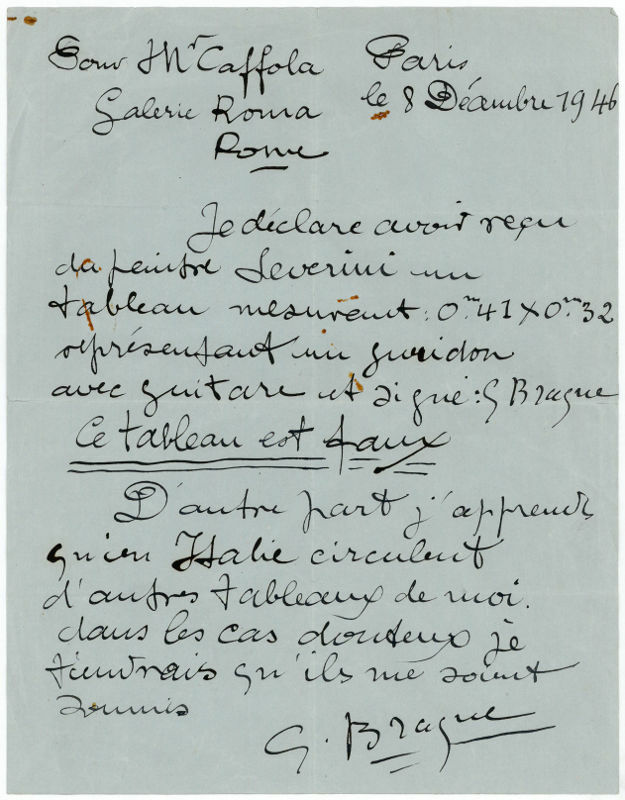 To Mr. Caffola from the Galerie Roma about forged paintings of him: "Je déclare avoir recu du peintre Severini [i. e. Gino Severini] un tableau mesurent: 0.41m x 0.32m représentant un guéridon avec guitare et signé: G Braque Ce tableau ext faux D’autre part j’apprendre qu’en Italie circulent d’autres tableux de moi dans les cas donteux je [...]". - Expected folds; small ruststains and damage to edges. Autograph letter signed „G. Braque“.